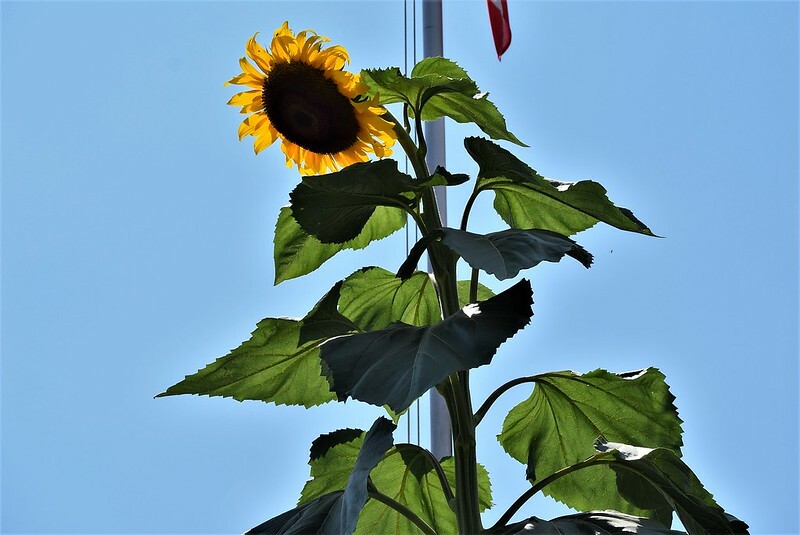 I passed this sunflower each time I took a trip into town in July and watched it grow and grow. It was one of the tall ones. One day it was not longer so I am glad I managed to capture it before it disappeared. I love them when they are so tall. And the bees adore them. I remember your other pictures of sunflowers. It is such an Okie flower.